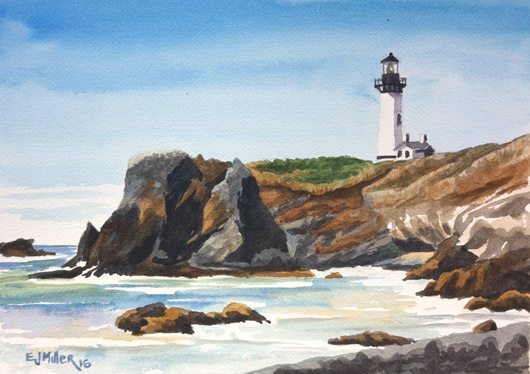 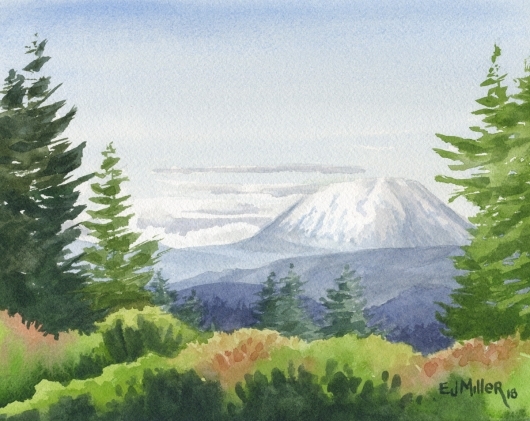 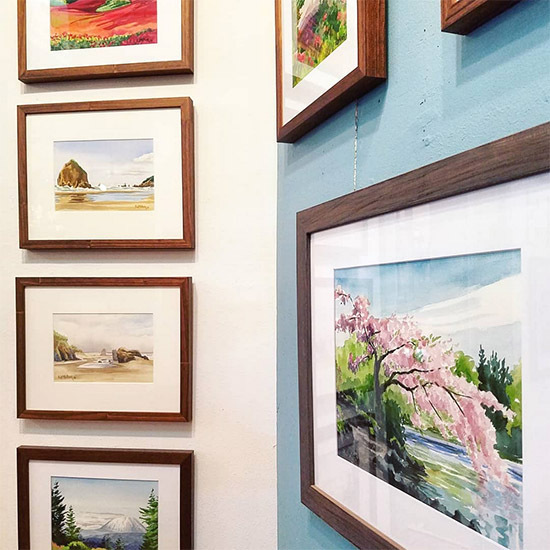 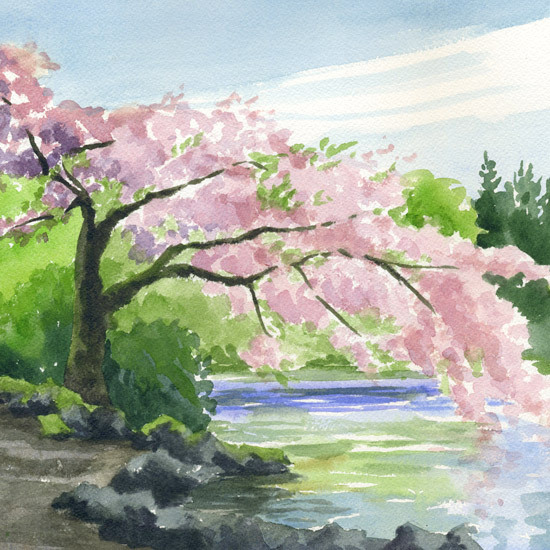 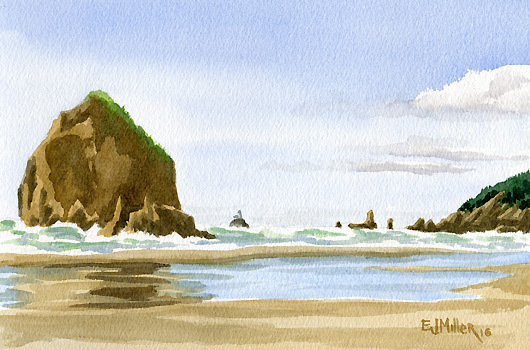 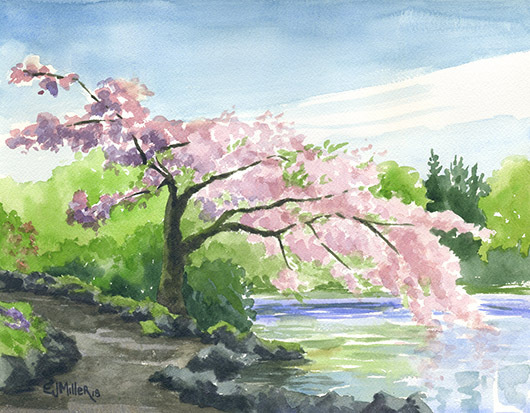 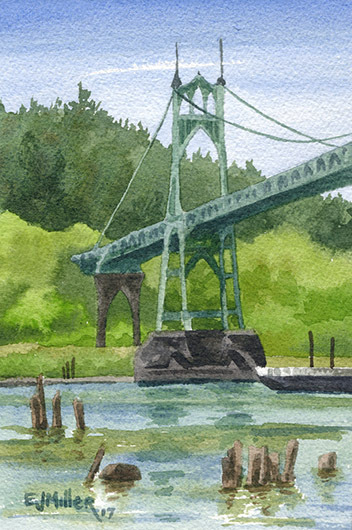 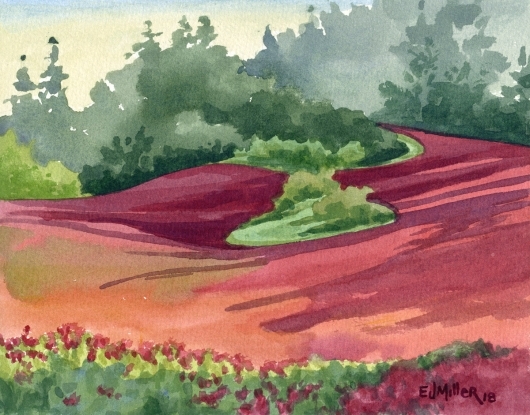 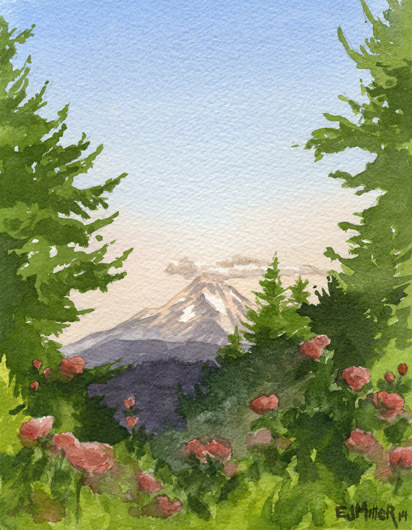 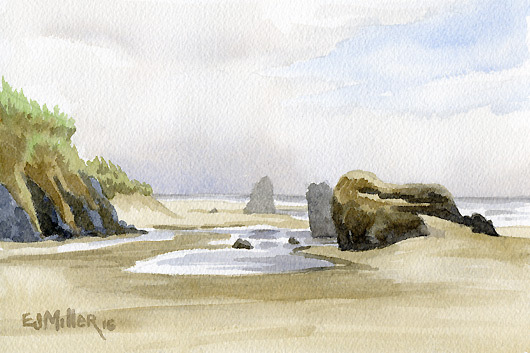 Plein air watercolors of Oregon's seasons. 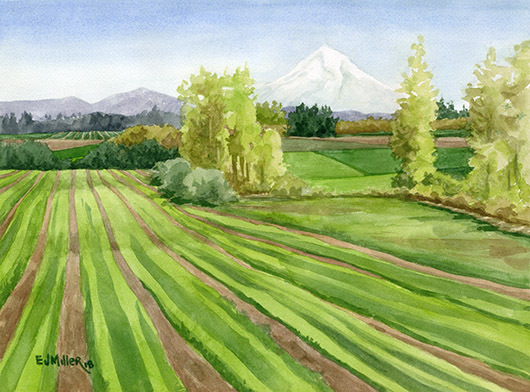 Creating art in the landscape gives the gift of being still, in nature, and becoming aware of the rhythms of the day with all our senses. 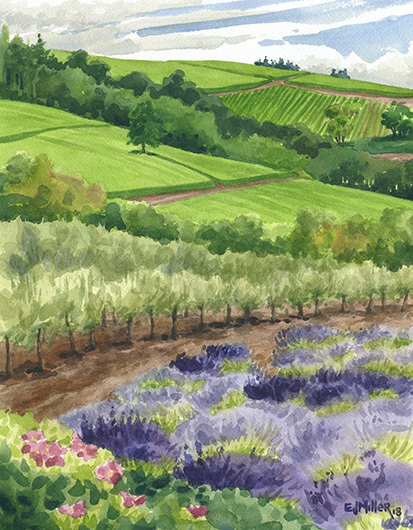 Each painting is a meditation on cycles of change in the landscape: cherry blossoms, autumn leaves, lavender and roses; sun and fog on the coast, growing crops in the vineyards and valleys.